Mercedes-Benz says the first production model of the new EQ product brand is to be produced in Bremen by the end of this decade. "Emission-free automobiles are the future. I am pleased that for the series production of our first electric EQ model, we can count on one of our most important partners in the global production network: our colleagues from Bremen. The Bremen plant delivers a maximum of flexibility and high speed as well as Mercedes quality from the beginning, also for our electric models," says Dr. Dieter Zetsche, CEO of Daimler AG and head of Mercedes-Benz Cars. The production model will be based on the EQ show car – an electric vehicle in the look of a sporty SUV Coupé, that was presented at the "Mondial de l'Automobile 2016" in Paris in September. With a range of up to 500 kilometres and the typical Mercedes strengths such as safety, comfort, functionality and connectivity, the show car is forerunner of a new era. The product brand EQ is an elementary part of the corporate strategy for future mobility bundled under the term CASE. The four letters stand for the four strategic pillars Connected, Autonomous, Shared & Services and Electric Drive, which are connected intelligently. Mercedes-Benz Cars aims to have over ten all-electric vehicles in its portfolio by 2025. The new electric vehicles can be built within the existing global production network with sites on four continents. "In our production, we work intensely on the execution of our electric offensive. In this context, we assess the potential production of electric vehicles at all sites of Mercedes-Benz Cars. We have already started intensive preparations in Bremen. 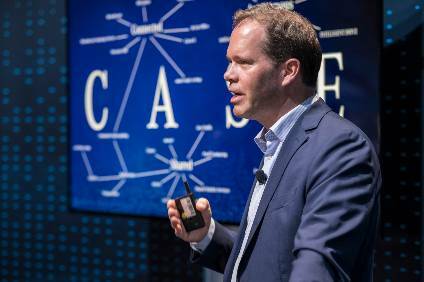 In general, our new production organisation has become highly flexible, allowing us to quickly react in case of increasing customer demand," states Markus Schäfer, member of the divisional board of Mercedes-Benz Cars, production and supply chain management. 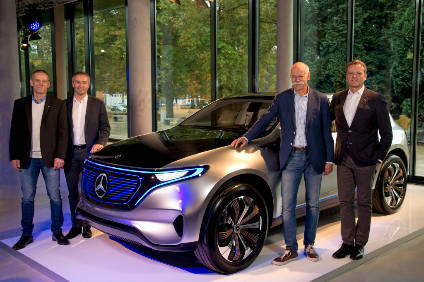 "It is an enormous sign of trust and a genuine reward for our site that the first EQ vehicle will be built in Bremen," says Peter Theurer, site manager of the Mercedes-Benz Bremen plant. "As lead plant for the C-Class and the GLC, we have repeatedly proved our ramp-up competence, our flexibility and our technical know-how. Now, we take a further crucial step towards future mobility and expand our variety also when it comes to drive technologies." The product portfolio of the Bremen plant currently consists of ten different models. Next to vehicles with conventional combustion engines, plug-in hybrids of the C-Class and the GLC are also rolling off the production line. In addition, the GLC F-CELL – the worldwide first fuel-cell vehicle with plug-in technology – will be produced in Bremen. With the confirmation for the new Electro-SUV of the EQ brand, cars "made in Bremen" will cover the entire range of intelligent drive technologies in the future. "Our team is proud and happy about the decision to produce the first EQ vehicle in Bremen. The greatest future prospects in the industry currently lie in electromobility and it is our ultimate goal that the Bremen site participates in this. 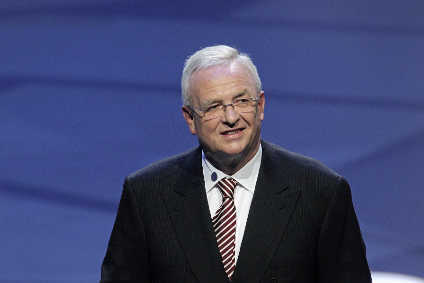 We understand the company`s decision as gratitude and appreciation for the great performance of our colleagues over the past years", states Michael Peters, chairman of the Works Council Mercedes-Benz Bremen plant. The battery for the new electric vehicle will be developed by the Daimler subsidiary Accumotive and produced in Kamenz (Saxony). The production is currently being expanded in the context of the corporate strategy CASE with an investment of EUR500m. With this, one of the largest and most modern battery factories in Europe will be built. In future, Accumotive will produce lithium-ion batteries for all electrified vehicles of Mercedes-Benz and smart – including plug-in hybrids as well as fully electric vehicles. On top of that, the site will produce batteries for stationary Mercedes-Benz energy storage units as well as 48-volt-systems. Daimler plans an overall investment of more than one billion euros in a global battery production compound. What's with this Brexit thing, Watson?